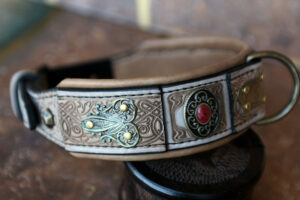 One of the coolest things in being a dog collar designer is seeing dogs every day and hearing touching stories about the dogs and their human caregivers. Last month we received an email from US written half in English and half in our mother tongue. It was a pleasant surprise – meeting a man with Slavic roots and a sweet American Bulldog. We were all ears. The man told us that his bulldog’s name is Primo Titus Pullo, like a famous soldier from Julius Caesar’s 13th legion. 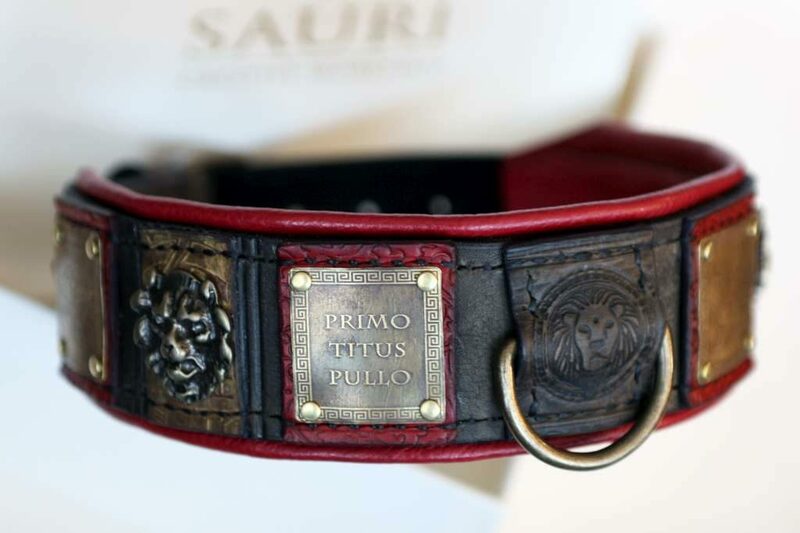 It was clear that this custom made collar was going to be a Roman inspired dog collar. 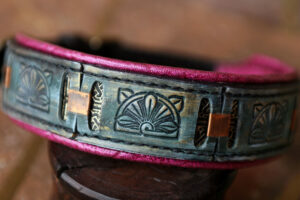 It was a customer desire to have brass plates with a dog’s name engraved. 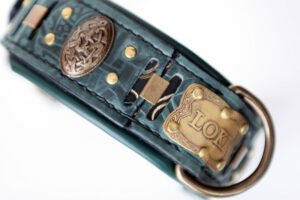 Each personalized dog collar needs a bit more personalization than just a dog’s name. 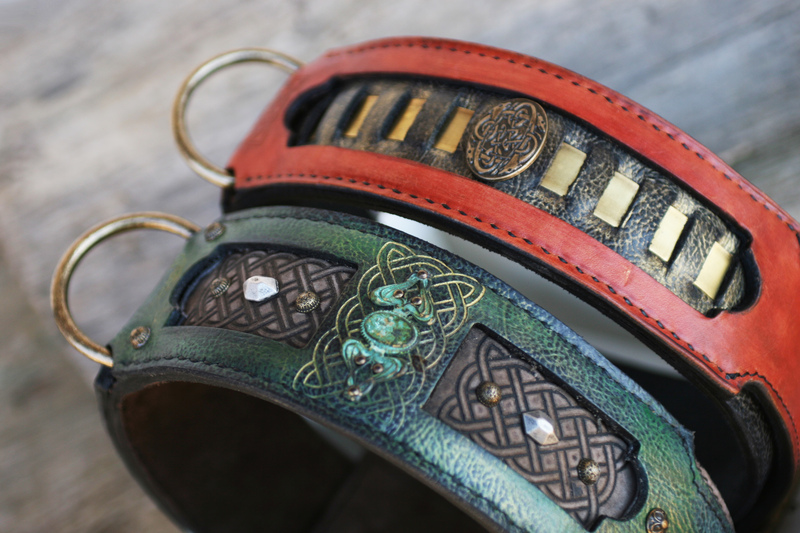 Personalized dog collars need to catch and seal dog’s unique personality, as all of us dog lovers know and agree they have. 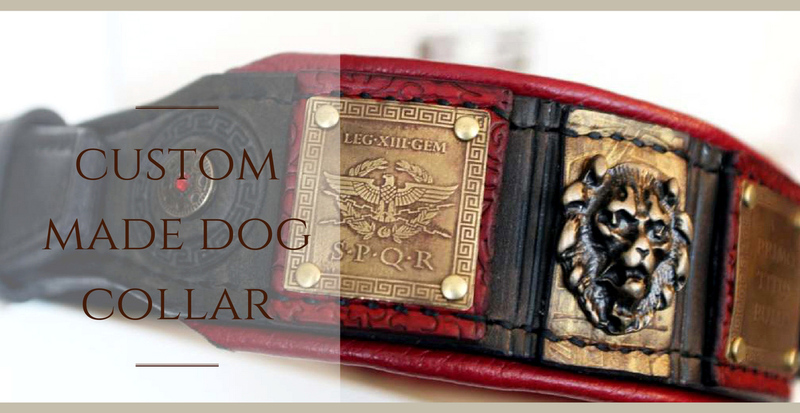 This American bulldog custom made collar was going to incorporate various Roman inspired details and especially something of homage to the 13th legion, namely “Legio XIII Gemina”. We were going to add a Roman eagle too and SPQR abbreviation meaning Senatus Populusque Romanus (The Senate and People of Rome). 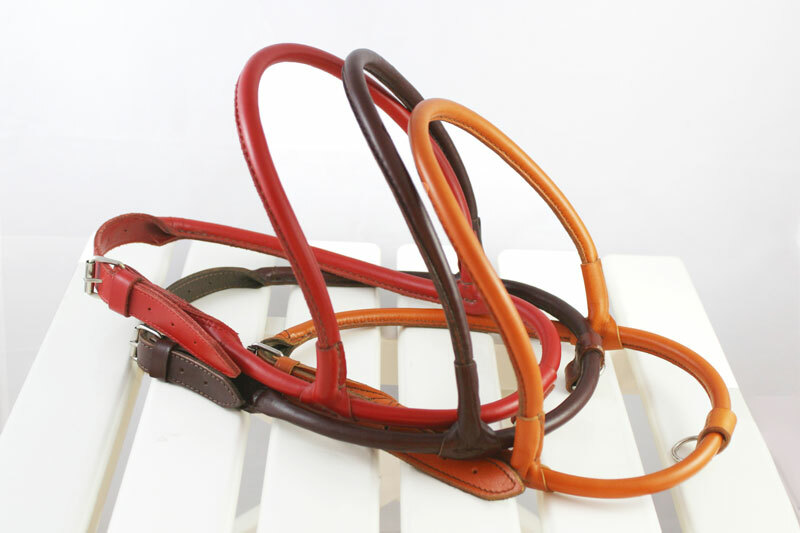 With custom made orders we always make a collar layout so our customers are able to see the design and our ideas before we nail the ornaments and stitch leather. 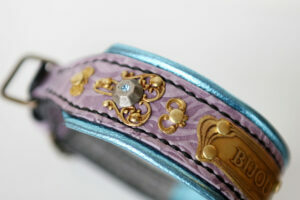 Each custom made dog collar is a beautiful inspiring process where we work together with our customers. Our zeal is to present each dog’s uniqueness and crown a special human-canine relationship. Contact us and share your own ideas with us!